I was walking through the aisles of Dollar Tree last week to try to brainstorm some new projects for the blog. I was browsing the electronics aisle when I saw that they carry phone cases for just a dollar. 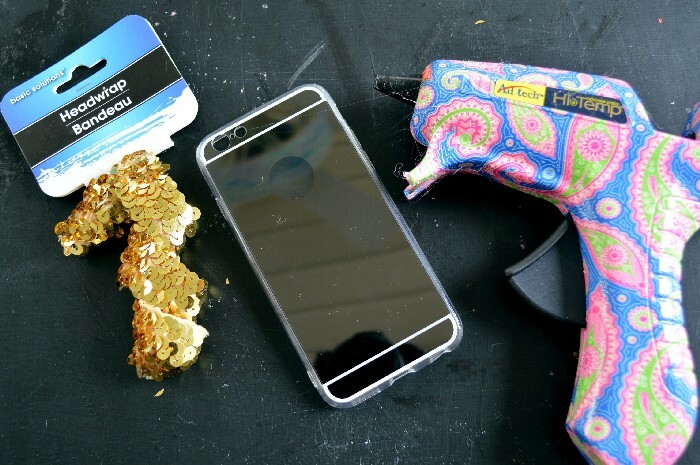 I got the idea to challenge myself to come up with three simple and inexpensive ways to personalize a dollar store phone case, and this week I will be sharing those tutorials with you. 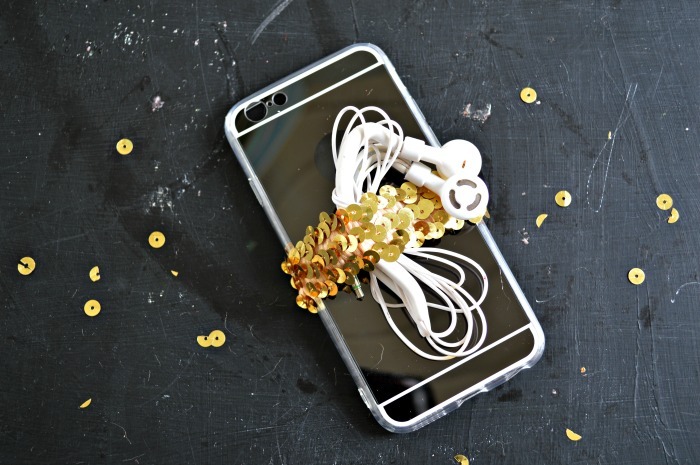 First up is this super quick phone case hack that lets you tuck your earbuds right into a sequined elastic on the back of the phone. 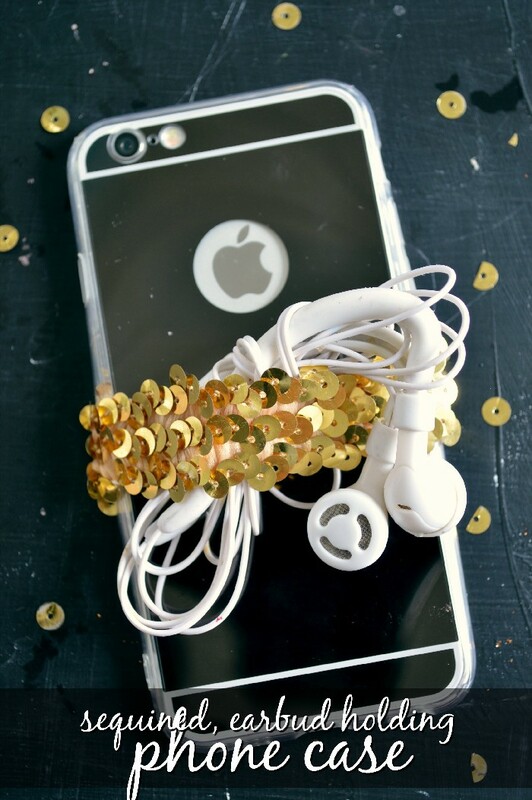 No more searching for lost earbuds when it’s time to hit the gym with your own sequined earbud-holding phone case! In addition to my dollar store phone case, I picked up a sequined headband from the hair and makeup aisle. You will need a high temp glue gun too. There are just two steps to this easy DIY. 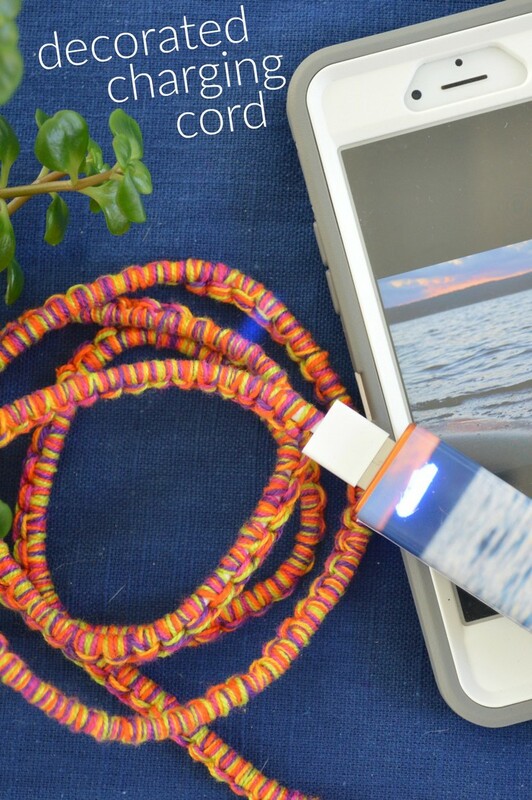 1) Cut a length of the headband so that it will wrap around the back of the phone case. 2) Hot glue one end of the piece of headband to the inside of the case, wrap it around the back, and glue the other side down. Done! The headband has just enough stretch for you to tuck your earbuds in the back of the case for safe keeping. 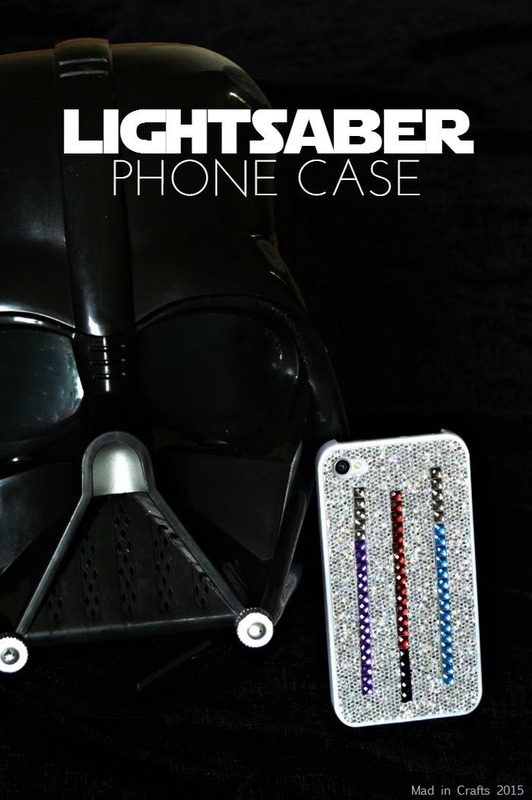 The only tip I would give you is to use as little hot glue as possible, so the bulk of the dried glue doesn’t make the case warp when you insert your phone. 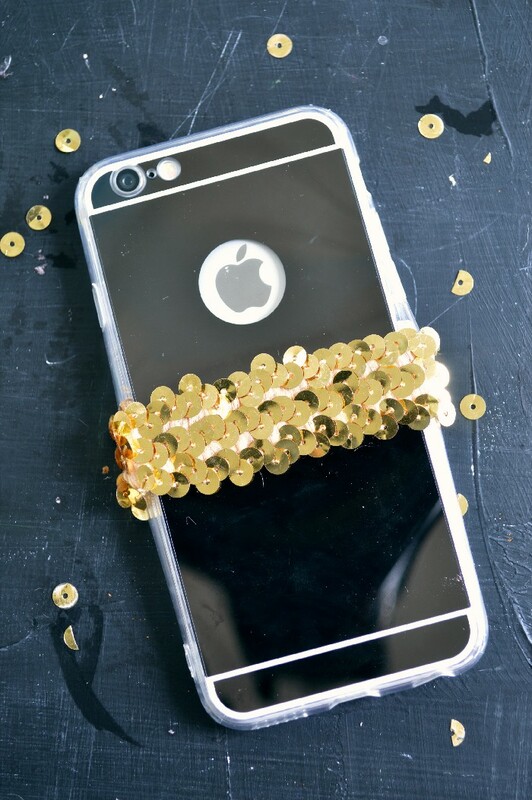 Stop back in later this week to check out my other two fun phone case DIYs! Be sure to subscribe to my YouTube channel, if you haven’t already. I release new videos twice a week!